I fear time is not on my side. I wonder if that’s because I stand on the left, and I’m not in my right…? Anyway, maybe you’ve noticed how everything TAKES time, and have you also noticed…no ransom demand from EVERYTHING yet? Just thought I’d point that out. But, there never seems to be enough time, (And isn’t that just like money, there’s never enough of that either) to do everything we want to do. … Oh I remember… why time is short—at least in my case. And why are these people masquerading as sheep in my dream? First of all, there is only 24 hours in a day…I’ve never really bothered to count how many hours in a night (that might be because I’m too busy counting sheep, or people pretending to be sheep). But, I can tell you that practically all the hours in my day (especially the good ones) are all spoken for long before I ever reach my keyboard to work on my blog. And I believe none of this will help the time/space continuum thing either—not that that is relevant. But those of you who blog here at WordPress, might want to help the rest of us poor saps tell WordPress “To stop mucking around and making a mess of things!” And I think that’s relevant. Okay, I’m down with it, and off my soapbox. And no, I’m not off my rocker, Ed with no last name from Plainview, Texas! You and I can meet in a dark alley later, Ed. Anyway, back to my calculations. Now this may be fuzzy math to you (forget logic), but I figure 8 hours of sleep (on a good night, and 30 seconds on a bad nap, but that’s just me). An hour to get ready for work (and I don’t even put makeup on… some days). And an hour to relax when I come home from work (in my dreams). Then there’s walk the dog, walk the wife, and walk the self just to recover from those walks, and that’s a dead man walking. Help cook dinner (after I wash the morning dishes and last nights left over pots), another hour there, and that’s only if I remembered to let them soak first. Help the child with the homework—15 hours! Oh, then there is the nightly budget discussion—but what budget? Heck, I can’t even budget the hours I have in a day (seeing as I don’t have enough hours to work with in the first place, not to mention any grey matter left), much less find time to work on the monetary financial report for the family. Now that leaves just enough time for…(zzz). Oh, my wife is snoring…again “Honey…honey…oh well, must be another headache night. That makes the 31st time this month, just like last month—only there were 30 days last month! Let’s see…there are 365 days in a year, and how many times did we…? Well never mind. So where was I? 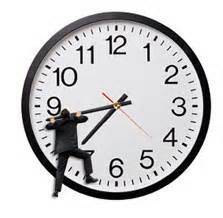 Oh, hours left in a day. 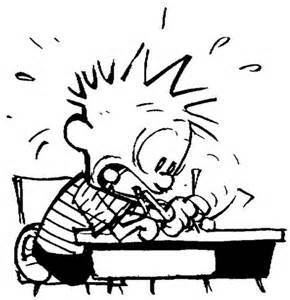 According to my calculations (new math, which by now must be old math) that would leave me with… no time for blogging! I’m going to have to post on this subject tomorrow, because I just ran out of time again. I love writing, and no doubt you feel the same way about it or you wouldn’t be here. And the thought of writing for dollars, euros, yen, or even the drachma—should it ever make a comeback (which could be any day now)—is a love close to my wallet—and all our bank accounts. But, there are those among us—hard as it is to believe—who would have us not write at all? Well, the last time something struck my fancy I was distracted on the court, and that was a tennis ball. Why I would ever want to write about an incident that caused me so much pain, is beyond me. 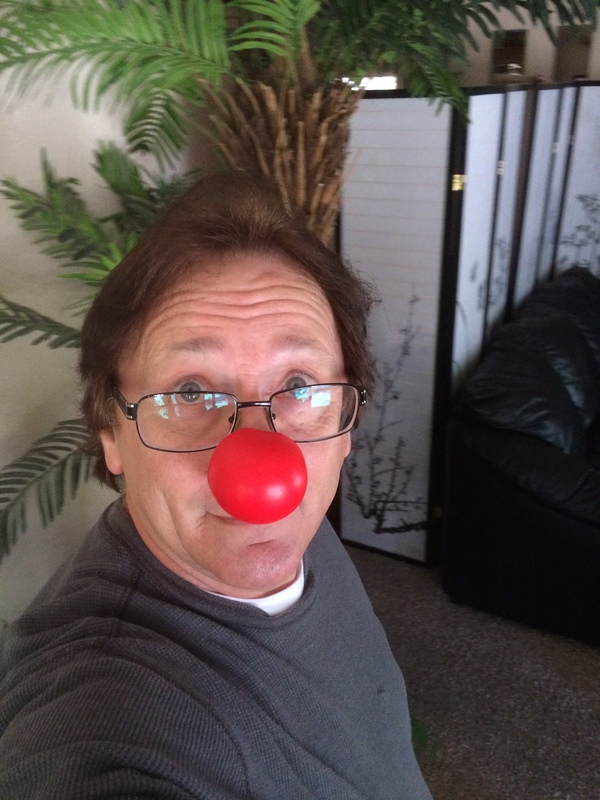 After all…I’m a writer of humor, not a writer about a pain in the…well you know where. They even went so far as to suggest, that if I were to get busy working on something other than writing about what tickles my fancy (it was hardly a tickle, let me assure you) there might even be a little money in it for me. Hush money no doubt, and likely under the table. They kept referring to it as a paycheck. Why it boggles the mind the lengths some people will go to in order to prevent us from writing. Take WordPress, for example. They felt it necessary to sneak in a few changes while I was away. Guess they thought I wouldn’t notice. But, I didn’t recently fall off the planet, I’ve been gone for quite a while. But, low and behold after only being back a week (because I’m very observant) I realized WordPress had created a whole new reader, and I feel just like one too (a new reader that is). Being technologically challenged, I was just starting to get the hang of the old reader (not really, but at least I was functional). So the last thing I needed after some R & R was a new challenge—or any challenge for that matter. Don’t worry though, I’m not going to go into all the unnecessary, non-hassle free changes with the new reader—no, my take on WordPress trying to complicate an already perfectly fine reading process in the first place, will come later—in the tabloids. At least that way, they (WordPress) will be able to read all about it at their local checkout stand. Its simpler that way, unlike their new complex reader. Besides, I figure many of you have complained enough already, and I have NOTHING NEW to offer you on the subject—something some of you feel my blog already offers. And don’t you deny it, Sam from Nebraska, as I have your nasty little letter right here! At least my post has alerted you to the nefarious forces at work, trying to obstruct my ability to write to you on a regular basis. But, rest assured good followers, Sam from Nebraska, and these other ne’er do wells, will not keep this scribe from his appointed post. Welcome good readers. I take great pride (in the misery of others) that I (he means his writers) provide a blog that offers an escape and refuge (insane asylum) from your daily strife. However, you may have noticed that I’ve been gone for a week (A week! Oh I think we all know he’s been GONE much longer than that) so that I could get some badly needed rest (something this slacker knows plenty about). But, now I’m back (help us Obe-Won, you’re only hope!). And it’s time for the monthly “In My Cluttered Attic” state of the blog address (that’s new, when did this happen?). The state of my blog is strong (obviously the guy is delusional and hasn’t seen his stats lately). As many of you have noticed (chirp, chirp, chirp…etc) I have not posted in a week (for which we are all grateful). You may be asking yourself, why (not really)? Well there’s a simple explanation for this (because the author of this blog is a simpleton? 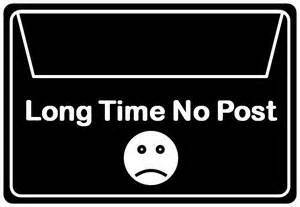 ); a quality post takes time (not if your good) and I have been working on a (fifth of Jack Daniels) post worthy of you, my many followers (actually, he’s quite paranoid). That, and my internet provider has been having problems of late (sure and I have a bridge to sell you in the Mojave Desert). I had writers block too (nothing new there). And finally, I was hard at work all week long (try hardly working). Sometimes this happens to great writers (and frequently to this dope). But, don’t be alarmed dear readers (I’m not… are any of you?) as this is only a passing predicament for me (that has plagued him all his life). Occasionally (try always), I find myself staring at a blank screen (with a vacant look due to his lack of intelligence) not sure what I’ll write next (as I, and all his other gag writers just quit and he’s lost without us) before a post finally crystallizes in my mind (first, you to have one…a mind, that is). I had writers (block) who desperately tried to provide laughs (frequently) for you, my loyal readers (accidentally sucked into this black hole he likes to call a blog). But, I was recently forced to let them all go (we fled…happily), because they were (competent and refused to work for nothing) demanding more than they were worth (its called a paycheck, TIGHTWAD!). Have no fear though (if I were you, I’d be petrified) followers of “The Attic” because your prayers for better writing has been answered (did you all go back to reading scripture?). 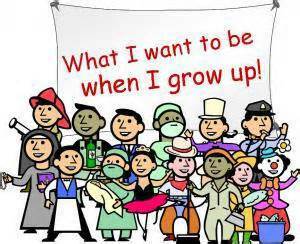 When we were young, we all sought to be something special when we grew up. But ask yourself this; did we grow up to be that something special we thought we we’re going to be? 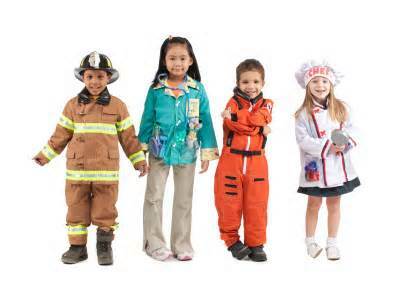 Firemen, doctors, nurses, and astronauts? Did you say, “When I grow up, I’m going to be an assembly line worker? No, of course not. Or how about when you were asked “What career will you choose for yourself? And you responded with “I’m going to flip hamburgers at a fast food joint for the rest of my life.” Amnesia? Well somebody has to do those jobs, how else do you explain my ever expanding waistline? I remember when I was first asked what I was going to be when I grew up, and at that particular moment sugar plum fairies were dancing around in my head (I was fast asleep at my desk. Whad’ya expect?). “Johnny, what do you want to be when you grow up?” I was so startled to see her waving her finger at me that I instantly replied, “My name is Paul, you sent Johnny to the office earlier for sleeping at his desk, and someday I’m going to be a programming executive for a big name television network! Gasp, and thud! Boy, talk about hitting a floor hard. Well its her own fault, she was overweight anyway. The heavier they are, the harder they fall. Mrs. Field was sent to intensive care… where she still resides today. There she sits in her bed, quietly grading papers well into the night, and under intense observation by armed guard (on my payroll)—just in case she ever decides to have second thoughts about altering my spelling test grade from the now A+ to her judgemental F-. I must say, I was ahead of my time during those years of the coat-hanger resting on top of a television. But one day, the coat-hanger evolved into a pair of rabbit ears. So naturally, my hand was required to rest on one end of the antenna at all times. Lest my dad lost the picture on the screen, due to fuzz, and in turn the football game he was watching. In the years since, the blood returned to my arm and I regained most of the use of my fingers. This was fortuitous, otherwise I’d never have been able to switch channels manually. 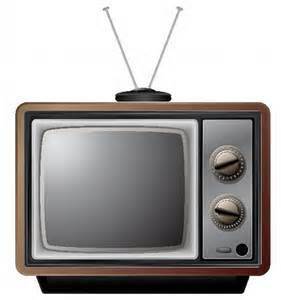 My doctor (being a visionary) said the paralyses would go away in time for cable television. As predicted, eventually fiber-optic cable came to rule the day, and most of our income too. But clear TV was out of the question. There are some things a man should not have to do without. Live sporting events for one, and the remote, “Honey, I need another beer… chop, chop! In the old days (1966 B.C.) before cable, the network voice-over guy would announce the name of a particular show—this was in spite of the fact that the title was already spelled out for you on the screen (I can only assume this was because I failed that spelling test in Mrs. Fields class, and was now… unable to read). 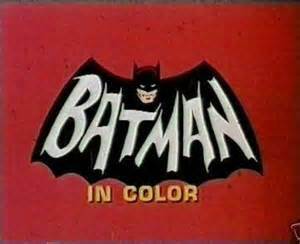 A male voice would intone, “Bewitched,” “Time Tunnel,” or especially, “Batman…In Color!” Oohs and ahhs would ring throughout the house, even though we only had a black and white television. Later, RCA Victor rectified that little problem, saving us all from a world without color. Before that, I vaguely remember my blood being all black. “Dancing with the Star” With your host, Elvis Presley. Elvis would have given the winning dancer a free Cadillac. Who wouldn’t have wanted that from the King of Rock and Roll. Okay, its about time that the western genre made a return to television. Here’s one, “Tan Hide… In Color” Tonight, Tan rides into town and after a few drinks in a saloon, kisses the town drunk by mistake. He then puts a saddle on what he believes to be his horse (but is actually, the town Marshal) and climbs aboard yelling “giddyup!” Now the town wants to hang Tan as a horse thief. The Marshall, just wants to hang him! (30 min). You want cops? How about, “John Smith, The Normal Cop” Donuts have been disappearing by the dozens all over Everytown, USA… population 12. John decides to go undercover and nab the culprit. No one suspects a thing until John sits down and eats a whole dozen of Krispy Kremes, while drinking a fine cup of Jo over at Emma’s Emporium. (30 min). Alright, you want medical drama? My network has that too. “Peruvian Jungle Zombie M.D.” In the series opener, doctor Hector Enrique Alonzo Fernandez becomes a certifiable zombie surgeon. However, the last thing he expected was being called on to save the life of a young transvestite (let alone anyone) wondering the Peruvian Jungle. (60min). Eat your heart out NBC executives. You turned down these show ideas for another rehash of Heroes? No wonder you guys are last in the ratings. 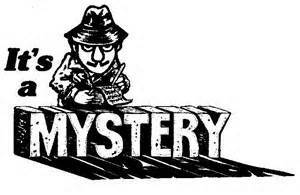 One of the great mysteries of the universe… about to be revealed? You may not realize it yet, but knowing the difference between success, and failure is why you are here. Oh sure, there are people in life who are massive failures—Adolph Hitler, Adam and Eve, and he who shall not be named (Voldemort)—come to mind. But then, Hitler had a funny mustache under his nose, Adam and Eve probably had noses like Pinocchio, and Voldemort never even had a nose. Whereas, I’m nothing like any of them—because I own a big red one. By the way, none of this nose talk has anything to do with why a person is a success or failure, or even… why you are here. But, that was as clear as the nose on your face, right? I suppose some would tell you the reason why we are here, is to be successful and have plenty of money, because then you could come and go as you please. 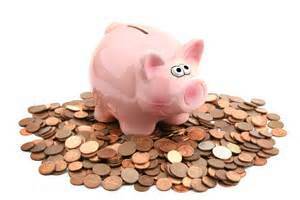 Well, my pink piggy bank is stuffed with pennies, and still he sits on my dresser (could it be because he’s too fat? ), unable to walk due to the weight of all those pennies he ate. And while others may measure success by how much is in their 401 K, 300 J, or 502 L , I can’t be concerned by phoney numbers like that, I’m far too busy counting all the real money I’ve made from recycling this week. Do you know it was nearly $15 bucks! Makes you think TWICE as much about drinking beer, let me tell ya. People have suggested I should put my money in a bank. Well I’m no fool… I went and got direct deposit! Others recommended I invest in bonds… so I bought tickets to every James Bond movie ever made. Financially speaking; I think you’ll agree… that’s got me where I am today. I’m not saying I haven’t miscalculated at times. I have to admit… that didn’t pay off too well, in fact… at times it’s cost us plenty! Experts will tell you; you’re only a success once you’ve become famous. 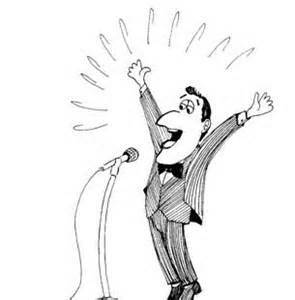 I thought about being a stand-up comedian—then I realized I wasn’t quick enough on my feet to dodge all that rotten fruit, so I became a sit-down comedian. Writing humor afforded me the time to correct, what a live audience would not. Thus, I’m sure you’ll agree, that the wonderfully comic stylings you find here, are like nothing you’ll find anywhere else on WordPress. I explored writing a novel, novella, and short story, but settled on producing the most impossible to find blog on the entire internet. Those of you who’ve found it—can you blame me? When you stumbled in here, you likely felt like you’d found buried treasure, and that’s why you stayed—that, and the new bulbs for the Exit lights are on back order. And that’s why you are here—mystery solved. Thanks for nothing Toyota. Way to break our hearts Lexus. 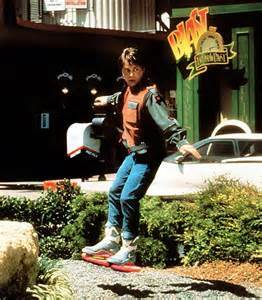 In 1989 Marty McFly went “Back to the Future (2)” to glide on air while riding a hoverboard from the year, 2015. However, at present (2015 in the year of our McFly), Marty McFly might find hovering on air… to be something of a really neat trick. Oh sure the—hoverboards that glide on air—do exist, but you… I… and Marty McFly… can’t have one. Well that’s not completely true. We can have one…for a price, as long as we don’t use it anywhere except where they tell us to use it…if we use it at all—which we can’t. A few companies have not only designed the hoverboard, but have put it into production. And yes… it does hover on air, and in some cases—it’s hot air. The first ten Hendo hoverboards (from a company called, Arx Pax), are expected to be ready to go sometime in October, and just in time to celebrate the re-release of Back to the Future (2). Just one small problem…the first ten boards are all spoken for, and by other people not named Marty McFly, and yours truly. Now I agree, that yours truly is kind of an odd sounding last name, but these days the utility companies don’t care what name they call you by—as long as you pay them! That brings us to Toyota and Lexus… you remember I mentioned hot air? Well, their scientist have hatched a plan to put a board out there which will also glide on air. Only there is one tiny little problem—you and I can’t have one. You’d think it’s because our last name isn’t McFly, right? Wrong. Its because the hoverboard is a prototype, used only in a commercial to showcase the talent they have for modern technology. They swear that they have a board that glides on air, HONEST. They’ve even made a video where someone ALMOST stepped on the hoverboard. But again, this is only for promotional purposes. Its all about showing what their scientist’s can ALMOST do—someday. Okay, so the boards will work, but only in a controlled setting. That even if you have the money, you still don’t get the board that ALMOST hovers, because you are not among the chosen ten, nor is Marty McFly—or yours truly. If that really is my name?